But a feeling you can't get back"
Yavin is not in any way a large man. He has a Runner's build, with long legs and hardly any fat or muscle on him save for in his legs, and even those are long and skinny muscles, made for endurance rather than strength. He has somewhat light skin, though he tends to tan after sufficient time outdoors, and his hair will lighten at the same time. His face is mostly rectangular, with a rather prominent forehead and a slightly large nose. His eyes are blue, and somewhat deep-set. His eyebrows are sparse and widely spaced, set close above his eyes. 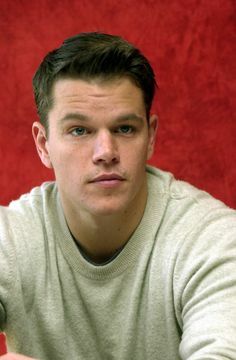 He has light brown hair that he keeps cut quite short to keep it out of his way. Yavin is, by all appearances, an intense, serious young man who doesn't know how to hav laugh or have fun. He rarely smiles, and when he does it's an insincere, forced thing. He's social, but not especially skilled at socializing; the purpose of small talk evades him, and he always wants to get introductions over and done with as soon as possible. He doesn't always realize when it's inappropriate to ask questions about someone's past, because he thinks any of their concerns pale in comparison to his need to find his sister. He can also tend to simply walk away mid-conversation if he sees an unfamiliar redhead, not wanting to risk somehow missing his sister walk by. He's highly driven, though his only real goal is finding his missing sister; everything comes second to that. If he's good at staying on task with other things, it's because those other things aid him in his search, even if somewhat obliquely. His mind is of the sort that will latch onto and obsess over even the tiniest details while missing the larger picture; this is a flaw he's unaware of, and he thinks he's actually incredibly good at spotting larger patterns. He can be restless, and feels that he needs to be constantly busy in order to distract himself from falling into complete despair all over again. He isn't good at letting go of things, and will hold grudges forever; on the other hand, he also doesn't forget kindnesses shown him. Once in a place for a little while, he'll tend to be a bit of a hoarder. He also keeps the promises he makes, never forgetting that one broken promise nearly led to his losing his chance to find his sister entirely. Yavin was the oldest of four children born to a pair of Weavers who were more absorbed in their work and each other than they were in their children, who were seen mostly as a minor inconvenience but a boon for the Hold, who could at least be depended on to raise them. So each of the four were raised in the creche, and quite content with their lot in life. While close to most of the creche children, with each new blood sibling Yavin appointed himself their protector, and swore to look after them. This was especially true of Yura, the youngest and his only sister. He practically doted on her, bringing her sweets whenever possible, and he continued to do so even when he began his own "apprenticeship" as a chandler. While candle-making wasn't a full Craft, Yavin liked his work. He helped people to mark the hours when an hourglass couldn't be relied upon or afforded. He learned to make the candles consistent so that they would burn evenly, and to mark them so that people could use them to note the passage of time by how much had burned. He learned to tell the usable tallow from the stuff he couldn't use, and in all he found the practice relaxing. At least, he found it relaxing until Yura's disappearance. His sister was eight, and him sixteen when he went to visit her one evening, pockets bulging with bubbly pies. Only when he arrived at the creche, she wasn't there. In fact, nobody seemed to have seen her in several hours. A search party was formed when a rather thorough sweep of the Hold failed to locate her, but it too turned up nothing at all. A Trader caravan that had departed that morning was briefly suspected, but when a Runner was sent to them to ask after her, they hadn't seen her eithet. Yavin spent the next several weeks waiting for news, and dreading that what he heard would be bad, but none ever came. He began to obsess over every detail of the day she disappeared, asking everyone he could think of every question he could come up with, but none of it turned anything up. He stopped sleeping, and then he stopped talking to people at all save to bounce ideas off of them. He ignored his brothers, and his work grew more and more shoddy until his master told him to take some time to clear his head. So Yavin did the only sensible thing: he joined up with the next Trading caravan he saw. He traveled Pern with them for the next two Turns, taking every opportunity possible to ask people if they'd seen a girl with red hair and freckles and a scar on her chin from where she'd fallen while playing tag as a child who answered to the name of Yura, but nobody had seen or heard of her. She had disappeared as thoroughly as if she had never existed, and Yavin grew more and more consumed by the thought of finding her. He had initially agreed to make candles at their longer stops for the Traders to sell, but stopped in favor of trying to catch a glimpse of every redhead who looked to be around the right size, or asking questions, so he was hardly surprised when he was asked not to continue traveling with the caravan after a stop at Ruatha. He couldn't blame them when he'd become a drain on both resources and morale. He had to do something useful at Ruatha, but was too restless to continue as a chandler. He was in decent physical shape from traveling, having spent most of that time on foot, and after a few months of training in most moments that he wasn't making candles to keep himself in the Hold's good graces, he was able to join the ranks of the Runners. Running was freedom. He had to stay on a set path and schedule, but while he ran his mind was free to wander as it liked, and he used that time to pick over every moment of the day nearly two Turns gone over and over and over. That examined, he switched to every interaction he could remember with people in the following days. Had anyone been lying? Covering something horrific up? He suspected everyone, and yet had no reason to suspect anyone. One day an especially long series of runs had taken Yavin increasingly near to Fort Hold, and he thought he saw a glimpse of red hair ahead. He did what he was never supposed to do: he strayed from his intended course to see if it was her. It wasn't, just a man traveling with tithes toward the Weyr. It was only a few minutes' delay, but still Yavin felt ashamed and guilty. While it was true that the most urgent messages weren't sent by Runner, they were still trusted to carry things as quickly as possible, and he felt he had broken a promise both to himself and to the recipient of the parcel he carried. He intended to finish his assigned routes and then ask to run in the general direction of Keroon, making his way home, whatever that meant any more. He'd been running for nearly three Turns. However, he didn't manage to accept his failure and return home, for while resting at Fort and awaiting his next assignment, a Searchrider happened by, and Yavin was given the opportunity to become a rider, one of Pern's heroes. He accepted immediately, but likely not for the reasons the rider hoped: on a dragon, he could search out Yura, or learn how she had died (a possibility he only rarely allowed himself to admit) much more efficiently. Sure, he had to fight Thread, but his free time could be dedicated to his search. In a way he felt better settling down. He would have time to learn a place thoroughly, determine if she had ever passed through. If she had, he'd follow her trail in an instant. If she hadn't, he could relax just a little bit and settle in to wait, maybe even hope for news. Enaxeth was attacked by Magasuth during Rannath's flight and was badly injured, but will recover. Dapper. Dapper. Dapper! Enaxeth could be constantly wearing a fine suit and it would not seem strange. He has a certain poise and grace to him, somehow seeming dramatic even if he is standing still. Not the tallest or largest blue, he is incredibly handsome. 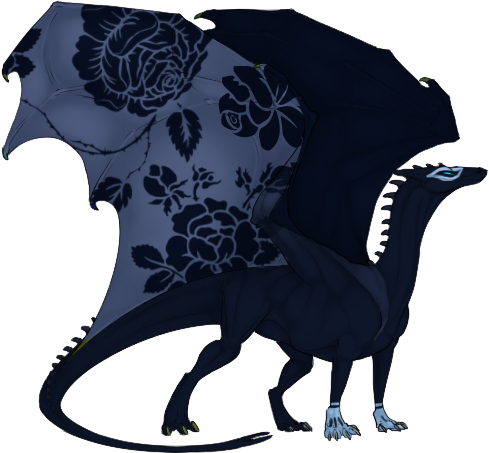 Enaxeth is a deep midnight blue all over, with the undersides of his wingsails a brighter, smokey blue. There are large, flowery-rose patterns over his wingsails. His front feet are a pale, almost white-blue and looking like he is wearing some fancy gloves. The same color is over his face as if he is wearing a fancy mask. Enaxeth's voice is polite and professional, if a little distant to some. It warms up over time, revealing far more depth. 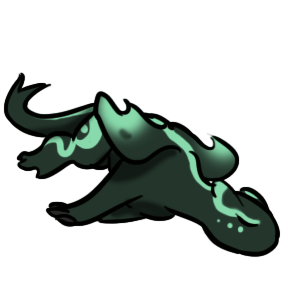 Enaxeth is a quiet and stoic seeming dragon on the surface, choosing not to say much to others until he really gets to know them. No one is sure if this is because he is distant or simply shy; its hard to get an accurate thread on what he's feeling, unless you are his bonded. He tends to be silent on most counts unless spoken to directly. He is very dedicated when he sets himself to do something, always following through to the very best of his abilities, and he's loyal to a fault, especially his clutch siblings. Over time, he does begin to warm up to people, and he's not unfriendly - just someone who watches before they engage. He's very intelligent and studious, dedicated to absorbing and practicing skills until they are second nature to him. He can also be very mysterious, not always revealing what is on his mind and thinking layers deep on a subject. He has a fondness for roses, and generally is a more gentle soul; the exception to this is his sister, Usakinth. They have a love-hate-love relationship; he scolds her for her childish behavior, she acts at further. As both mature, they'll become nigh inseparable friends, however. He tends to be very thoughtful and well spoken, and has an intense interest in dreams and why people dream in general.